Last one for the mythological creatures (for now). This is the Ciquapa. She is a high mountain siren from Dominican folklore. 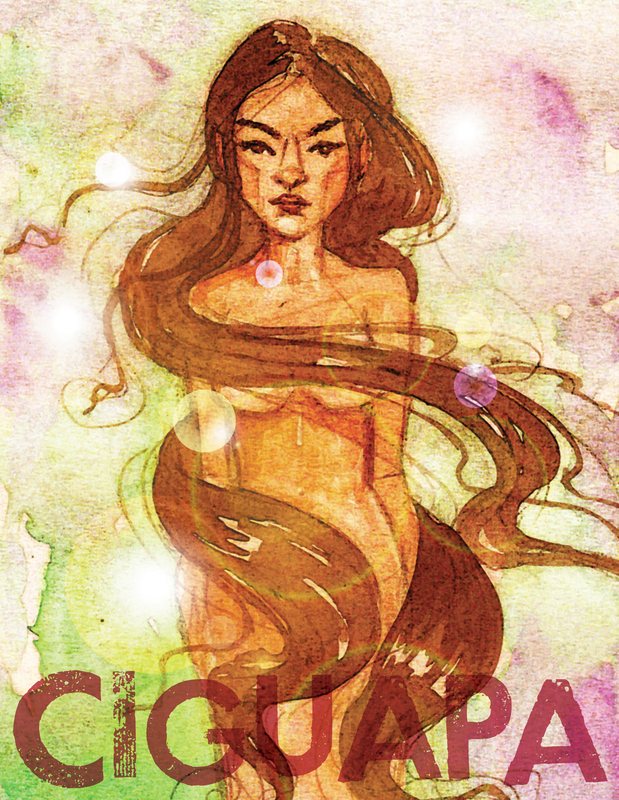 The Ciguapa are always naked with long shiny hair and one very unusual feature… they have backwards feet. This is so you can never tell which direction they are going. The backwards footprints make it difficult to track them. hmm. They are described as magical, deceitful, deadly, and bewitching. The origins of the stories go back to the Taino natives. These people migrated from South America and settled throughout the Caribbean. Stories of the Ciguapo came with them (about 1500 years ago) and to this day- many people in the Dominican Republic still report sightings!